Happy birthday Le Faz!!! Today is officially her birthday and for her birthday I baked her s’mores cookie bars. The only problem with s’mores is that they are impossible to make when you are not near a bonfire which is a constant problem of mine. However, these solve that problem. AND they are much tidier and easier to eat. You will not have to worry about melty marshmallow strings all over your face. They are the perfect combination of cookie and square. The graham cracker crust bottom is buttery and crumbly, creating a light, delicate base for the heaviness of the cookie to rest on. The cookie is buttery and rich, dotted with marshmallows and chocolate chips. The top has less melted marshmallows and whole chunks of chocolate bar. The chocolate bar is broken up into chunks and then frozen, ensuring that they don’t completely melt into the square; genius. I love these and will definitely make them again and again. Recipe is below the cut and happy munching! More cookies! I made these cookies the same weekend I made the snickerdoodles and they were equally as delicious. These cookies are slightly time consumming because you have to make the cookies and then the filling, salve but trust, shop it is worth it. The cookies have a very subtle but rich vanilla flavour owed to the real vanilla beans that are used. The cookies are soft and chewy. The filling is a combination of raspberry and white chocolate – creamy, rich and decadent. These cookies are the perfect cookie for spring – they are fruity, light and fresh. The perfect thing after a long, cold winter. Names of food can be misleading: sweetbreads are not actually a loaf of sweet, delicious bread that can be topped with butter but rather various glands of a calf. Head cheese is not actually a cheese but rather a terrine made of the meat from the head of an animal. And snickerdoodles are not actually cookies filled with chunks of a Snickers bar but rather a buttery, cinnamon-sugar cookie. The confusion that can come from the name snickerdoodles is not nearly as confusing as sweetbreads or head cheese but it is confusion nonetheless. I was first corrected about snickerdoodles when a coworker brought in these delicious treats a few months ago. I made my own version a few weeks ago for a Family Day brunch my parents hosted (yes, we are one of those families who actually get together on Family Day). I used Martha Stewart’s recipe and of course, they turned out brilliantly. They are buttery, soft, and moist and dusted with the perfect combination of cinnamon and sugar. They are also super easy to make! The only thing you have to be aware of when making these is to not crowd your baking tray. You need to get over the fact that you want to make 12 cookies/tray and quickly be done. I spaced my cookies out 8 per tray and they turned out beautifully. I have a new blog crush and her name is Brown Eyed Baker. I came across BEB about a year ago when I first made her delicious and ridiculous St. Patrick’s Day cupcakes. Since then, order I have been following her religious, click salivating over her recipes and hoarding them. In the past month, help I have made three of her recipes. I think I can easily say that I am addicted. First I made her Sesame Chicken. This was a big milestone for me as a cook because it gave me the opportunity to deep fry for the first time. That’s right: I had never actually deep fried anything because I was absolutely terrified of vats of boiling oil, a valid fear in my opinion. With my trusty thermometer in hand and GC by my side I conquered this fear. This dish was delicious and has led me to believe that I can make American-style Chinese food at home. The chicken was crispy but not greasy, moist and juicy and smothered in a tangy, sweet sauce that has a slight nuttiness from the sesame oil and seeds. One thing I do need to get better with is making rice. I know, I know. You are probably thinking, “Audrey, you have a food blog. How can you possibly not be able to make rice?” I get impatient and worry about it crusting to the bottom of my pans. Then I made her Bourbon Slush. I made this last week for a night in at our friends’ place. This was a citrus, sweet blend that added a nice frosty touch to your traditional cocktail. The bourbon flavor was subtle but present. On a cold winter day this was just the thing to keep us toasty and warm. 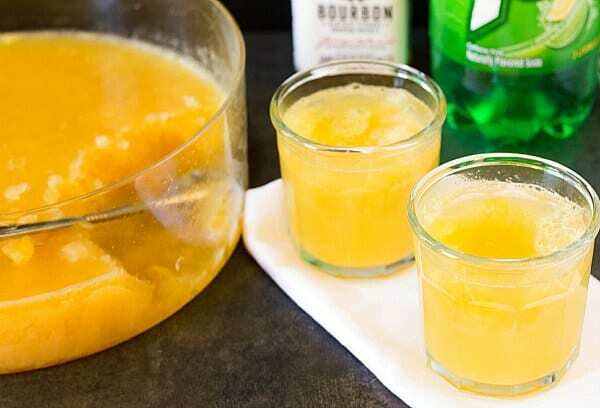 If you are not a bourbon or hard liquor drinker, you will still enjoy this cocktail. If you have the time and the foresight to plan, you should give this recipe a try. And lastly, I made her Black Forest Cheesecake. Holy smokes. This cake is ridiculous, rich, and luscious and everything you could ever want in a cheesecake. I think a little part of me died it was so amazing. 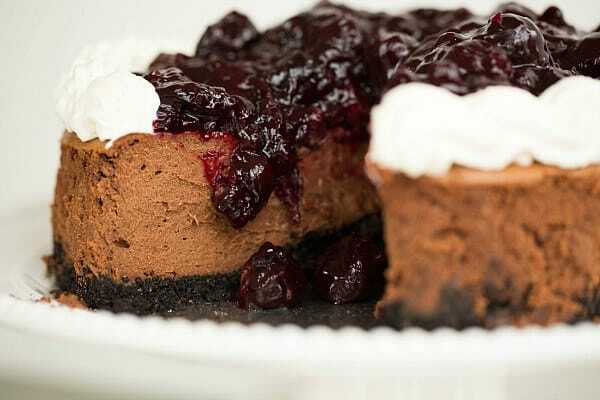 It is not a cheesecake for the faint of heart as it is decadent and may induce heart palpitations. This cake should probably only be enjoyed on special occasions and not random Thursday nights. I loved all three of these recipes and they will definitely be making a regular appearance in my kitchen. 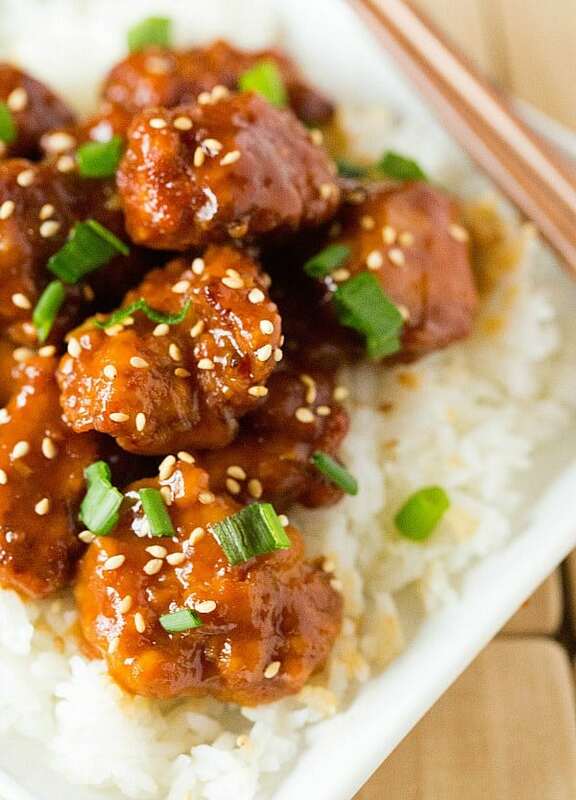 I will admit that they are slightly time consuming and may result in your house smelling like the Food Pavilion of the Ex (an actual description of my kitchen by GC after making sesame chicken) but they are worth your time, effort, and calories.